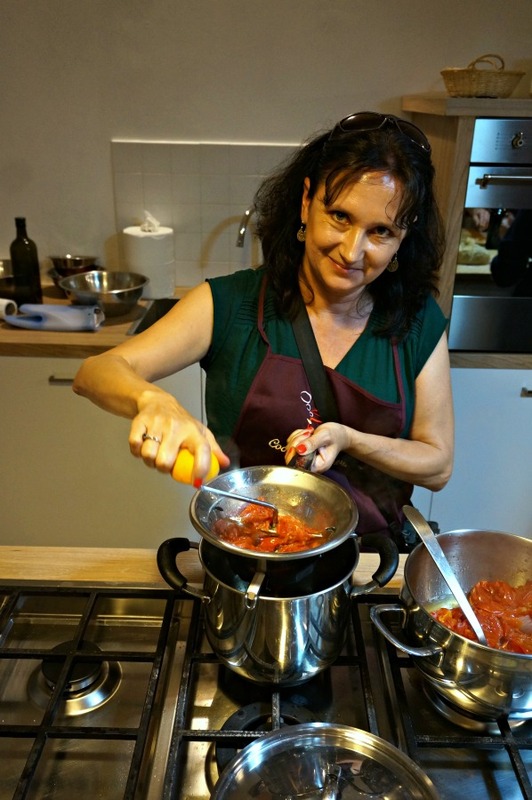 Of course, we had to take a cooking class in Puglia, Italy. We have spent a significant amount of time traveling around Italy, but before this trip hadn’t made it to this region located on the “heel” of the boot that is Italy. And, our Italian friends from the region wouldn’t let us forget this. We were repeatedly told that Puglia is one of the most amazing regions in Italy, and is wrongly overlooked by travelers. And, as with every Italian, our friends from Puglia also insisted the Puglia has some of the best food in the country. So, we were excited to put this argument to the test while we were staying in Lecce, by attending a class with Cooking Experience. And, it turned out that it was much more than a class, and indeed, an experience! We started our cooking experience by meeting up with our group prior to heading to the market to pick out fresh vegetables. The meeting spot was impressive: the square of the cathedral (or duomo) of Lecce. The piazza is huge, and almost completely surrounded by buildings made of the white limestone for which this region is known. Not a bad spot. We met Gianna, our chef and owner of the Cooking Experience cooking school, and her partner in crime and sous chef, Andrea, at the entrance to the piazza. Gianna immediately took charge, enthusiastically tracking down the other couple joining us and ushering us on to our first stop. Her enthusiasm was infectious, and we were soon laughing and chatting with the group as we walked the narrow back streets of Lecce. Our first stop, in typical Italian style, was for a traditional coffee around the corner from our meeting spot. Since it was a hot day, Gianna recommended an iced coffee. The coffee that arrived was laced with almond liquor similar to Amaretto. 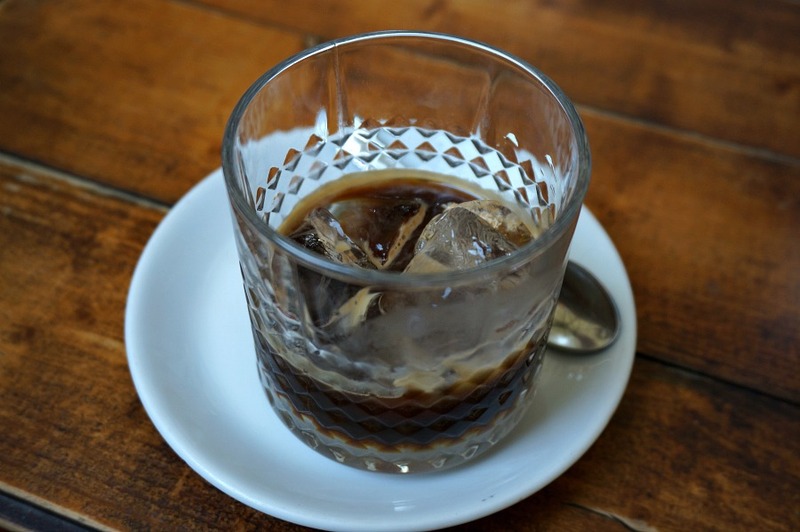 The drink was sweet and refreshing – almost a liquid cross of coffee and marzipan. When we asked the name of it, expecting some exotic name, it was the opposite. In Italian, you order it by asking for coffee with ice and almond cream. 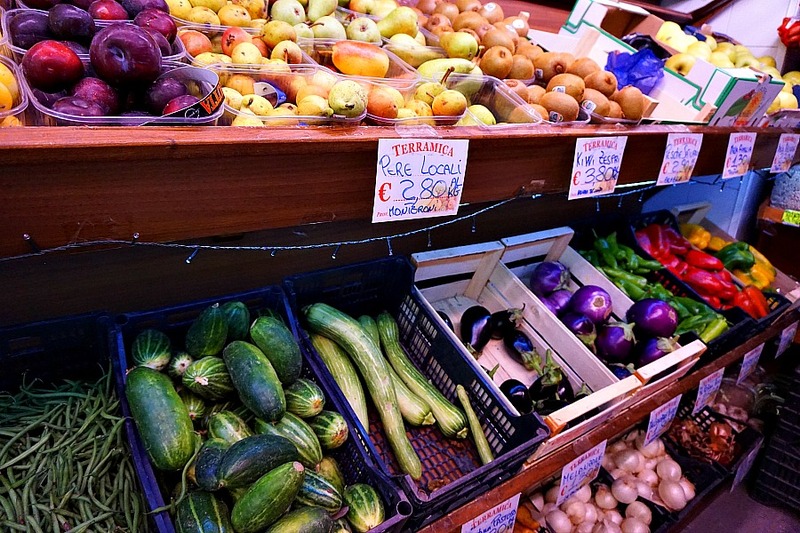 Our next stop was a small local farmer’s market, filled with seasonal vegetables. We crowded into the market to peer at the produce under Gianna’s watchful eye. Most cooking classes we have attended have a pre-arranged, set menu for the day. It’s a credit to Gianna that she just asked us to pick out whatever looked good in the market, and we would make a dish with it. We picked a couple of different types of eggplant, several kinds of fresh tomatoes, onions, and peaches and then were off – to start cooking. The school is tucked into a quiet street in Lecce’s historical center. The huge kitchen was crowned by yellow and white stone ceiling that is typical of this area. 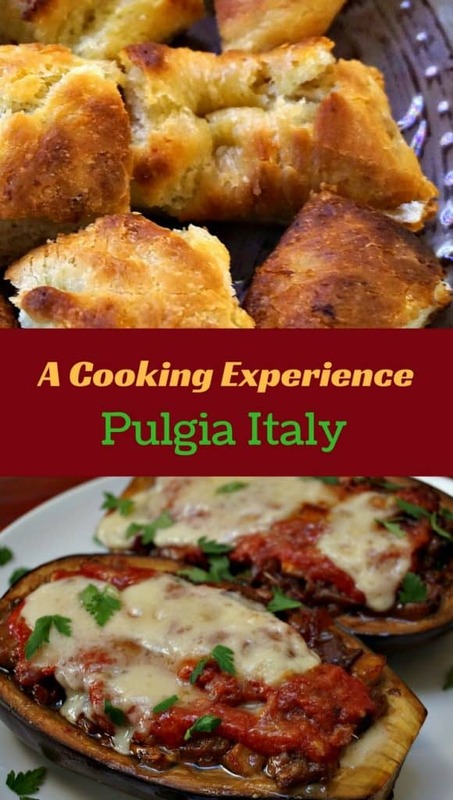 This is very fitting because the food that we were going to prepare today was Puglia traditional cuisine. So as you can guess, that meant we were going to make pasta, or in this case orecchiette. 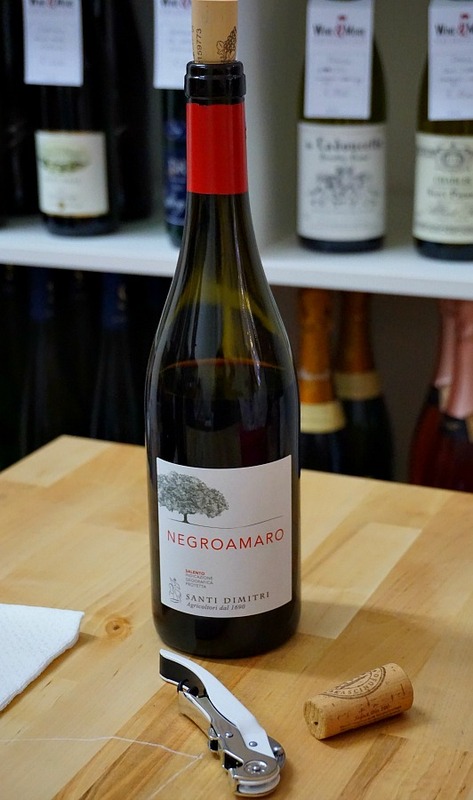 As Gianna got us set up to start cooking, Andrea, who happens to be a Sommelier, started pouring the wine. It started to feel like we were cooking with a good friend who just happened to be an Italian chef. 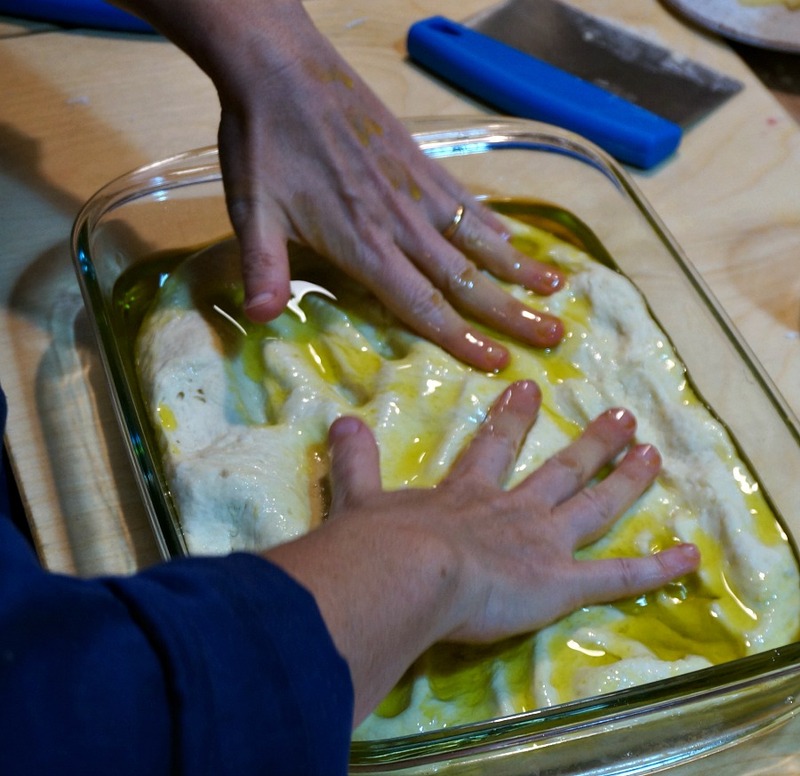 Gianna told us stories about cooking with her mother and life in Puglia. As the evening went along Gianna jokingly interjected her plans to divorce herself from those around her. Among those mentioned were her husband, her children, other family members, and her two small but stupid dogs. She also threatened to replace Andrea multiple times during the class. Having been threatened with this several times an evening, Andrea just smiled and kept pouring the wine. He knew better. Each region in Italy has its own unique pasta: tortellini in Emilio-Romagna, trofie in Liguria, penne in Naples. 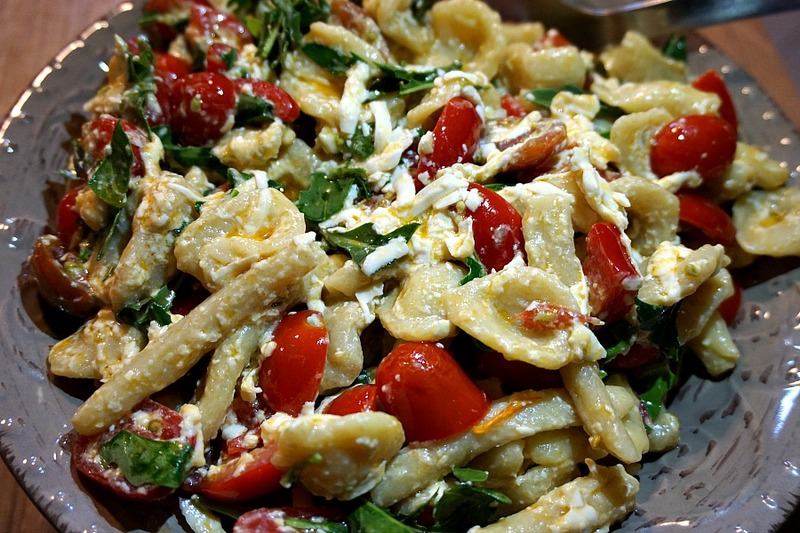 In Puglia, orecchiette is the specialty. The name “orecchiette” literally translates to “little ear” in Italian, referring to the concave shape of the pasta (which happens to do a great job of collecting sauce). If anyone has put their hand to making pasta, you know that it isn’t as easy as it looks. In this case, Gianna made it look easy. And, under her tutelage, we were all soon rolling, cutting, and forming the little ears of pasta. After the orecchiette were molded, it was dropped into a pot of boiling water to cook. Andrea mixed this into a salad using wild arugula lettuce and fresh strong ricotta cheese. 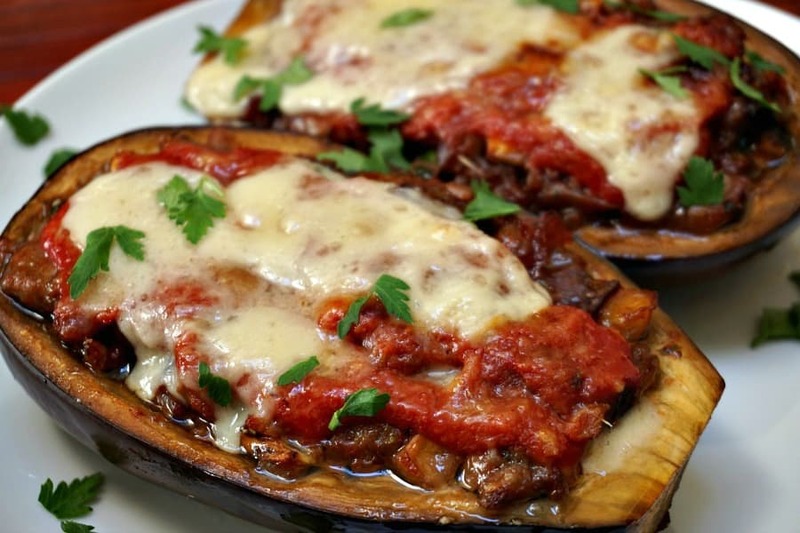 I wasn’t a fan of eggplant until I first visited Italy. My experience of it previously had been of a mushy, mostly tasteless vegetable drowned in sauce. I’ve since learned how amazing it can be, either as part of parmigiana or added to pasta recipes. This dish was different – we hollowed out the eggplant by hand, sautéed the insides while cooking the skins separately, before putting it all back together. We took turns preparing the tomatoes for the sauce, in a way we’d never done before. Gianna filled a metal bowl with water, and we squeezed each tomato under the water to remove the seeds and the juice, leaving only the tomato pulp. When we asked Gianna the reason for water, she looked at us with an amused expression. It’s so that tomato juice wouldn’t spray onto the walls and ceiling during the squeezing process. Gianna explained that nothing goes to waste – even the water with tomato juice was brought out to the garden and used to water the herbs. The bombette was surprisingly simple to prepare. We pressed thinly sliced pork with our hands (no pounding with a mallet was necessary), placed a slice of prosciutto and a couple of cubes of strong Puglia cheese, and then rolled. These were fried in a pan until golden brown, and delicious. 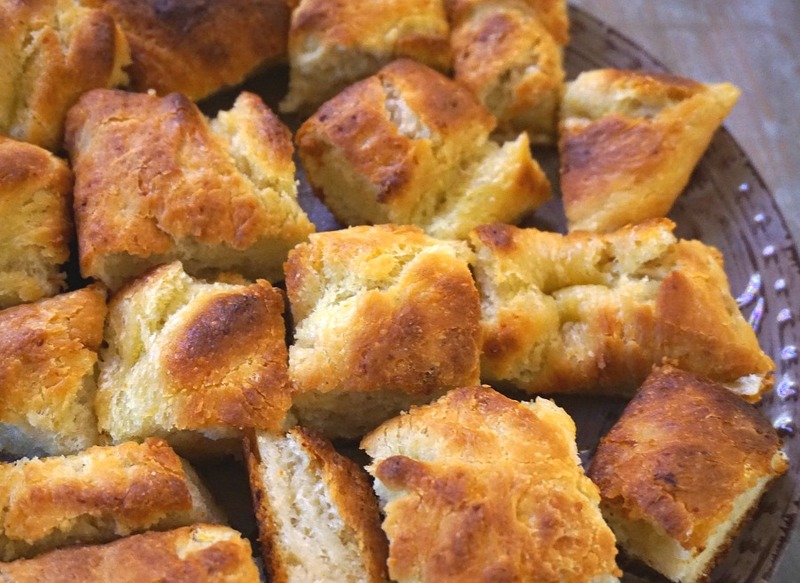 Gianna told us that in most homes in Puglia you will find fresh focaccia bread. And after we made it, we could understand why. The fresh bread mixed with potato is made with lots of olive oil. So much, that while it was cooking it bubbled away in the oil, as if it was actually being deep fried. She served it with a side of caramelized onion in balsamic vinegar along with some fresh soft cheese. If pressed, we’d have to say this was our favorite dish of the night. Olive oil is a point of pride in Puglia – the region produces more olive oil that any other place in Italy. And clearly, the locals no how to use it – in volume. We ate together in the courtyard, sharing more wine that Andrea selected from their collection. And then Gianna shared some homemade limoncello (a strong lemon flavored liquor that is reputed to be good for digestion). I hoped those rumors were correct, because after all we had eaten, we were going to need it. By the end of the evening, I’m pretty sure that Gianna had added us to the list of those she needed to replace. 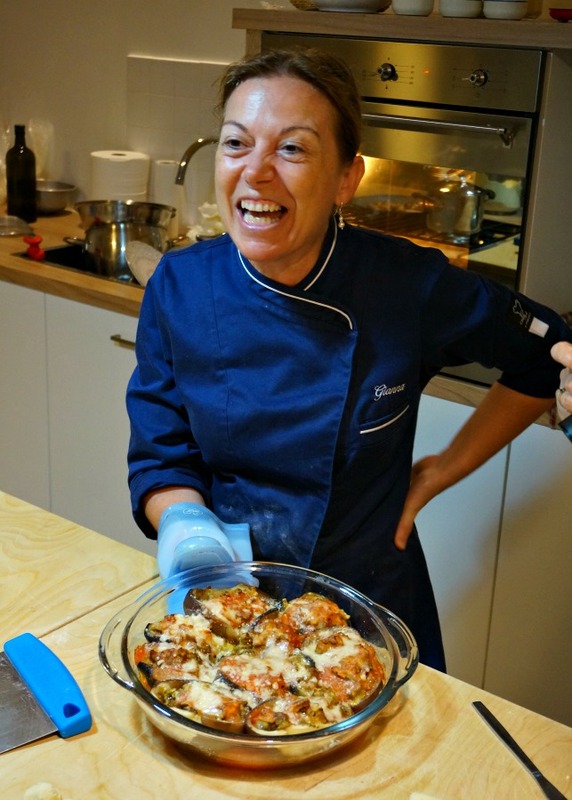 But there was no doubt in our mind, as we left the cooking school after a wonderful evening with fantastic food, wine and limoncello, that Gianna herself was the only one who was simply irreplaceable. A special thanks to the Cooking Experience for hosting us for this night of wine, laughter, and food. As always, all of our opinions are our own. Nice post. Don’t you just love Lecce? 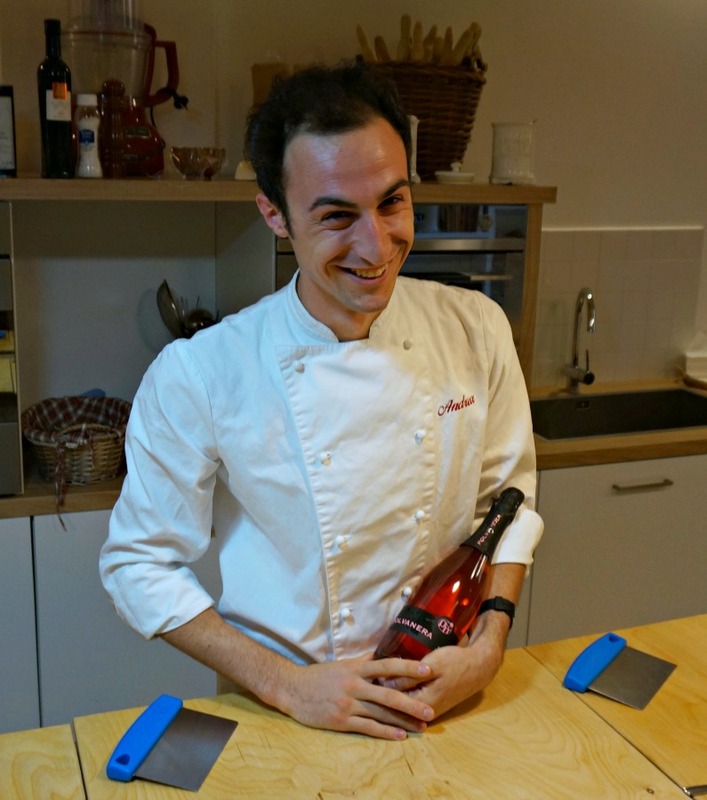 I did four cooking classes with Cooking Experience, one a week during the four weeks I was studying Italian in Lecce. Gianna and Andrea are fabulous. That potato focaccia was what I like to call a ‘culinary bliss point’. And the coffee with Almond Milk – baristas described it to us as ‘Caffe Leccese’. Buonissimo! I agree – Gianna and Andrea are fabulous!